While designing an outdoor kitchen, homeowners can make the most of the functionality and aesthetic appeal by choosing beautiful building materials. The countertops in an outdoor kitchen are especially important as they will likely hold food and drinks, the most important piece of your family barbecue or bonfire. 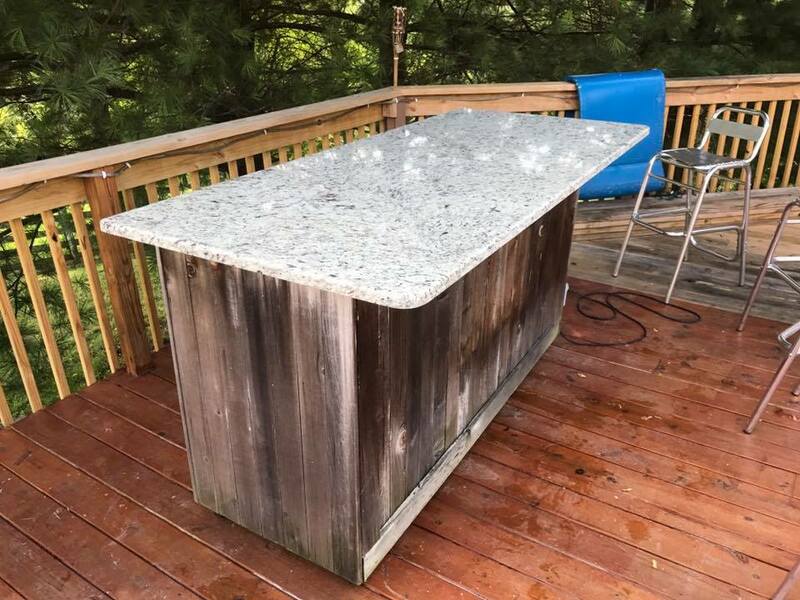 Bluegrass Marble & Granite of Richmond, in Richmond, KY, suggest that homeowners consider the most high-quality options for their outdoor countertops for the highest quality space that looks beautiful and withstands the elements. If you like the idea of creating a natural aesthetic in your kitchen area, consider countertops made from natural stone. This material is sturdy and durable, so it can hold up to regular use. Plus, because it so closely mimics the look of landscaping elements, it creates a seamless flow throughout the back yard. Granite is a popular choice for countertops inside and out due to its beautiful, unique pattern and unbeatable strength. Ask your contractor about installing granite outdoors and applying a special seal coat to protect against wind and rain. This seal coat will also make cleaning the countertops much easier as you can simply wipe the surface with a damp cloth. Granite is a bit more expensive than natural stone, but it will last for years with proper maintenance. Though not as well-known as the other options, Dekton is becoming a leading material for countertops. Its unique composition of porcelain, glass, and quartz give it a beautiful look and hardiness that will withstand the outdoor elements well. Because it is a composite, synthetic material, it can mimic the look of any stone, including marble. Work with a contractor to choose a shade that contrasts the concrete in the yard and brings out the beauty in the gardening or trees nearby. When you’re ready to rethink the look of your outdoor entertaining center, Bluegrass Marble & Granite of Richmond is the resource you need. Offering only the best materials in the area, their specialists allow clients to look at entire slabs of stone before they purchase materials for their home. Check out their monthly special on their website, and call (859) 575-1558 to ask a contractor about your outdoor kitchen countertop options.